Solid phase extraction (SPE) is a sample preparation process by which compounds that are dissolved or suspended in a liquid mixture are separated from other compounds in the mixture according to their physical and chemical properties. When a sample passes through the extraction column filled with a sorbent, a part or all of the constituents interact with the sorbent and are retained in the column. A solvent or mixture of solvents is then used to wash out interferences. The target analyte is then quickly eluted out of the column by a desired solution of reduced volume. The goal of fast separation, purification, and concentration is therefore achieved. 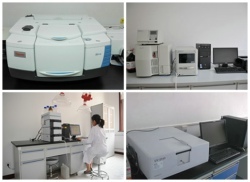 SPE can be carried out with various types of sorbents to perform extraction and separation of different analytes. Depending on the nature of the sorbents, SPE extraction materials can be divided into normal phase sorbents, reverse phase sorbents and ion exchange sorbents. The first generation of SPE used bonded silica gel as the base sorbents. 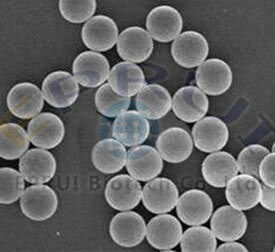 As technology evolves, polymer microspheres for SPE sorbents are gaining popularity and acceptance because of the shortcomings of bonded silica such as poor pH stability and low absorption capacity. 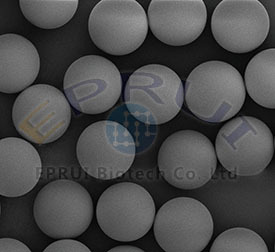 EPRUI Biotech supplies monodisperse polymer sorbents which has a large surface area and high loading capacity of functional groups on the particles. The Coefficient of Variation (CV) of the polymer microspheres is less than 3%, which provides outstanding recovery rate , high loading capacity and selectivity, good reproducibility and elution concentration plus a reduction in solvent usage.